The Razer Manticor’s entire surface has a lab-developed microscopic texture that delivers the most consistently accurate sensor readings. 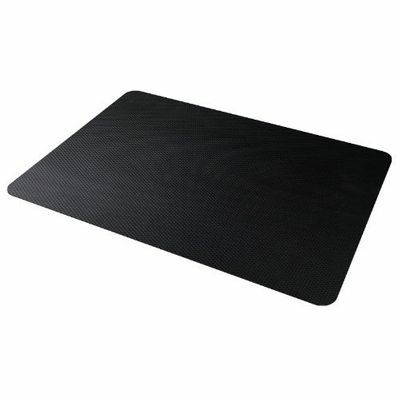 There are no in-game jitters or interrupted tracking problems when using this mat. The Razer Manticor has been cut thinner for a slimmer profile that almost melds to your desk. This ensures a continuous swiping experience even if your mouse were to travel off the generously expansive surface of your mouse mat. It is also ergonomically more comfortable, minimizing wrist strain so you can keep winning in games for longer. It has not yet written a review for Razer Manticor Aluminium Gaming Mouse Pad / Mat.